I approached Jack Lindsey of Lindsey Models in North Vancouver, about sub-contract work that I could do in my own workshops for him. 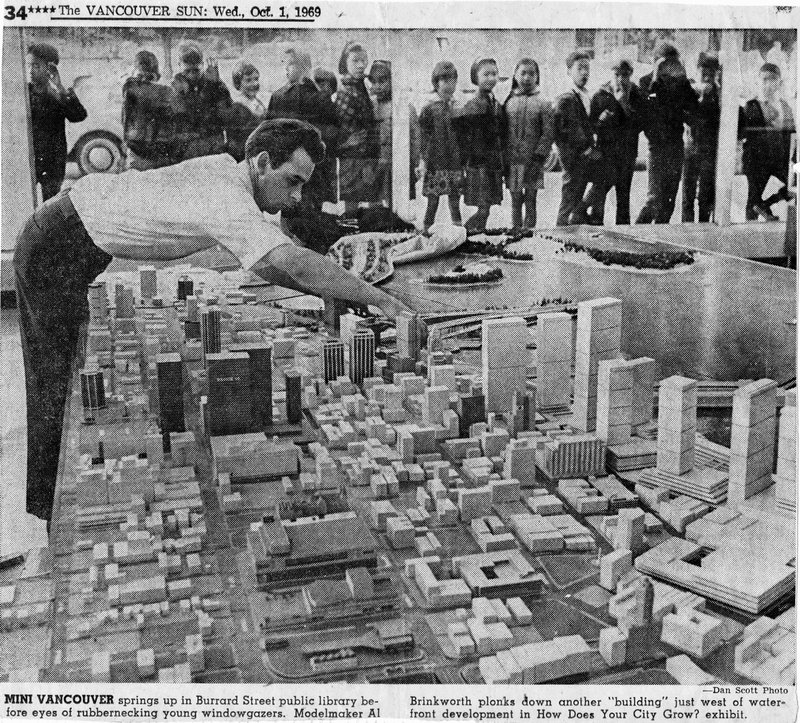 At that particular time, they were working on a very large model of the complete Vancouver downtown area, for the city planners, to explore, amongst other things, the pros and cons of either a tunnel or a bridge crossing to the north shore. I was commissioned, as an independent sub-contractor, to build 40 small models of major, recognizable buildings in the Vancouver core. I went and photographed all those buildings, and built small, semi-detailed, scale models of each of them, to be incorporated into their giant display model. The Vancouver public library on Burrard St. was the location of the model for public viewing. Picture below shows me adding my small models, to their display. After completion of the 40 buildings, I went into Lindsey Models workshops full time, and worked on numerous architectural and engineering projects for them in the early 1970's. 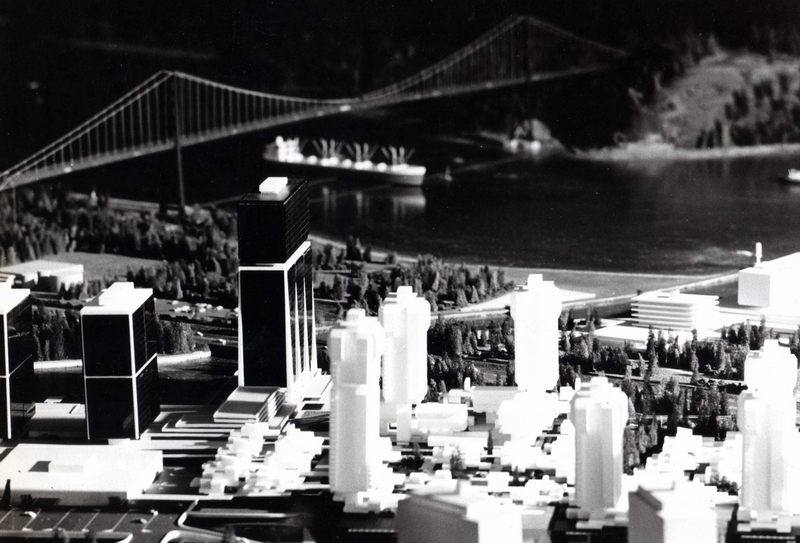 Below, another view showing one of the two bridge proposals considered for the Second Narrows crossing, to help relieve congestion on the existing Lions Gate Bridge.